Asphalt contractors can use a variety of methods to patch or repair pavement. The most commonly used method is also the oldest and is called remove and replace. This method requires cutting out the damaged area, having hot mix asphalt trucked in, spreading new asphalt and compacting it. It is a time-consuming, labor-intensive method that can significantly disrupt traffic patterns, sometimes for days. With the infrared method, the damaged area is heated in place. Once it is soft and pliable, new asphalt is blended into the old. In most cases, none of the existing asphalt is lost. A typical repair can often be made in minutes, rather than the hours required for the traditional method. Normal traffic flow can resume in as little as one or two hours. The speed of the repair is not the only major advantage to the infrared method. Infrared patches are almost undetectable; the edges are blended so smoothly into the existing pavement that the result does not mar the beauty of your surface. Because new asphalt is combined with the old, there are no seams that can fail and require subsequent repairs. The blending of old and new asphalt also creates a strong bond that will often allow the patched area to last as long as the rest of the pavement. Because there is no need to truck in hot-mix asphalt, the infrared method can be used even if the asphalt processing plant is closed. Furthermore, it is a viable option when the weather is too cold to permit hot mix to be transported to the site in workable condition. 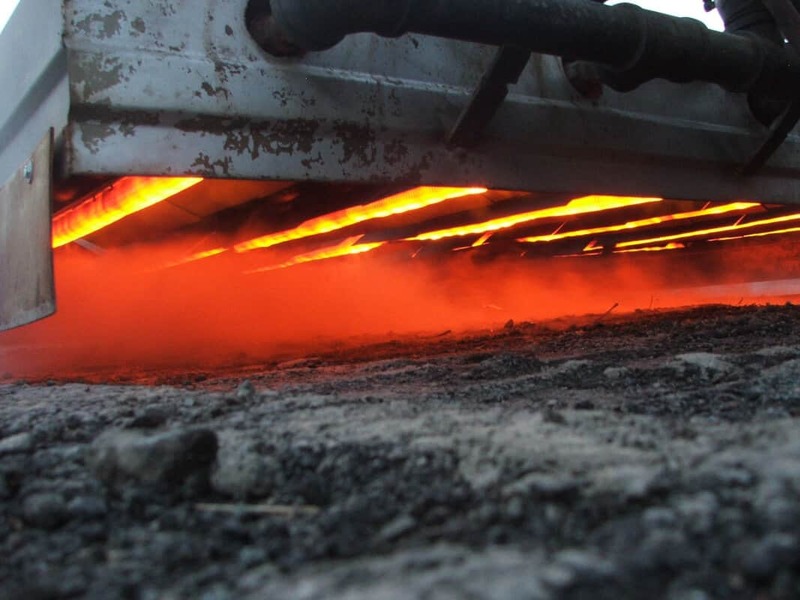 Although infrared technology has been used in the asphalt industry for approximately three decades, the cost of the equipment prevented many contractors from adopting the method. 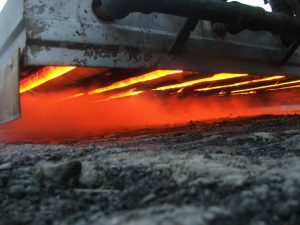 As technology has advanced, equipment costs have dropped, making infrared asphalt repairs an economical solution. Asphalt Pavement Solutions is a full-service asphalt repair and maintenance provider. Since 1983, we have been serving the asphalt-related needs of customers throughout the states of Pennsylvania, Maryland, Delaware and New Jersey. Whether you need your asphalt pavement repaired, or sealcoating, we have well-trained, experienced crews who can deliver superior results at competitive rates. We also offer a full range of parking lot services, from installing bollards and concrete repair or parking lot striping the lot and installing traffic signs. You can use our online form to request a free quote. If you prefer, you can call us toll-free at 1-800-559-SEAL or locally at (856) 461-1710. Asphalt Pavement Solutions is the “paving solution” for you! The premier asphalt company in NJ, PA, DE, and MD!